Home interiors and design is a love of mine which continues to grow rapidly. If I’m not scrolling through Pinterest for the term ‘luxurious’ followed by a different room name such as bedroom, living room or bathroom then you’ll find me looking at paint charts and fabrics. As a lover of pulling an idea from concept to finished look, I’m spending more and more time looking at how to style your home, new or old. 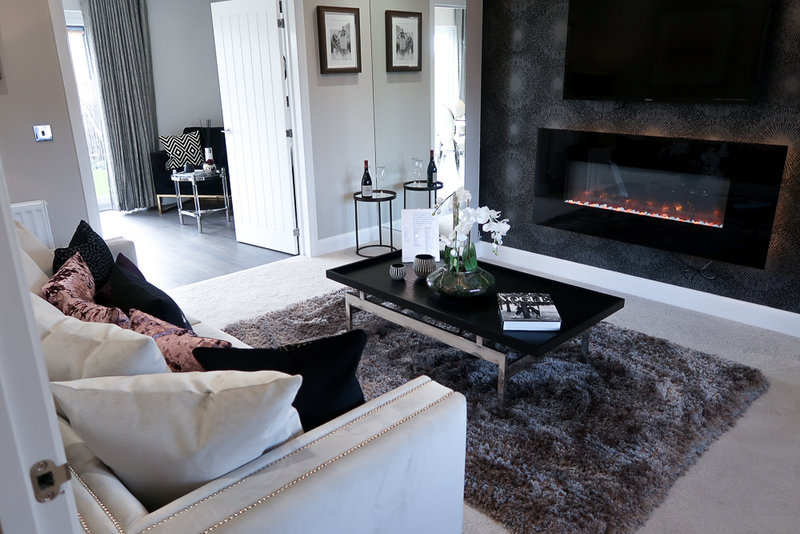 I recently headed to Miller Homes’ housing development in Longframlington, The Paddocks, to take some tips from their professionally styled Jura showhome. To help bring you some inspiration for styling your own home. 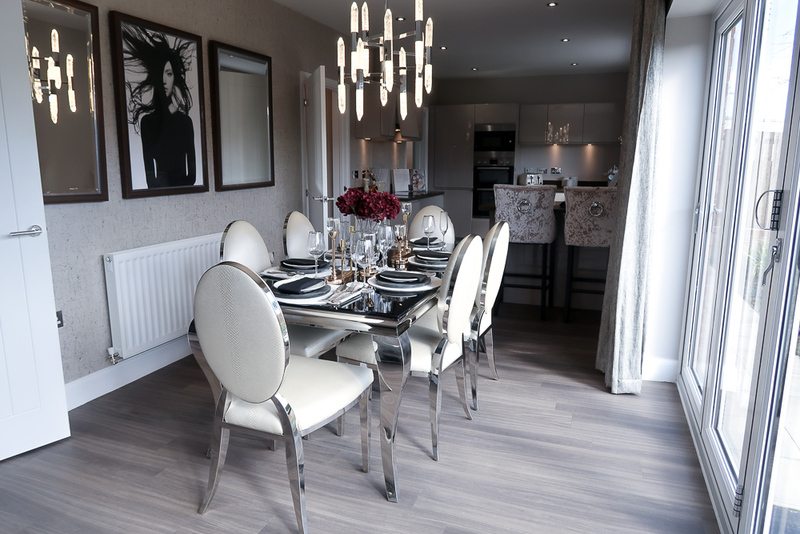 Miller Homes is an award-winning house builder dedicated to creating communities across the UK and was awarded a five-star rating in the Home Builders Federation National New Home Customer Satisfaction Survey in 2019. We’re lucky enough to have 14 of their developments right here in the North East. Stepping inside The Jura, their 5-bedroom iconic build, I simply fell in love with how they had styled the space. 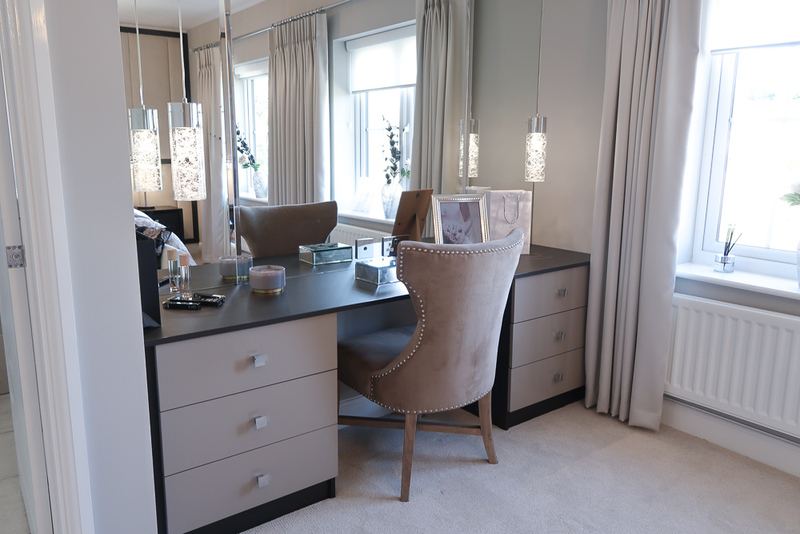 It really did make me want to say ‘Let’s Get Moving’ straight into the showhome! From spending time in the perfectly styled Jura I took away some serious interior inspiration and great tips for styling a new home. This is my favourite starting point when styling rooms. Search the internet (mainly Pinterest, can you tell I just love Pinterest?) for similar looking spaces that you absolutely love the style of. Once you’ve found between say 10 and 20 you’ll soon realise that they’re all very similar in style. Which is great. It makes designing a lot easier. Obviously, you’ll find that some of the images of the rooms you’ve saved are from homes in different countries and that the items for these rooms may be a little difficult to source. The paint or fabrics, however, are not so difficult to find (or find similar items). If you create a mood board and start pulling key pieces that you like from the images and begin searching for the same or similar items that are accessible and within your budget. 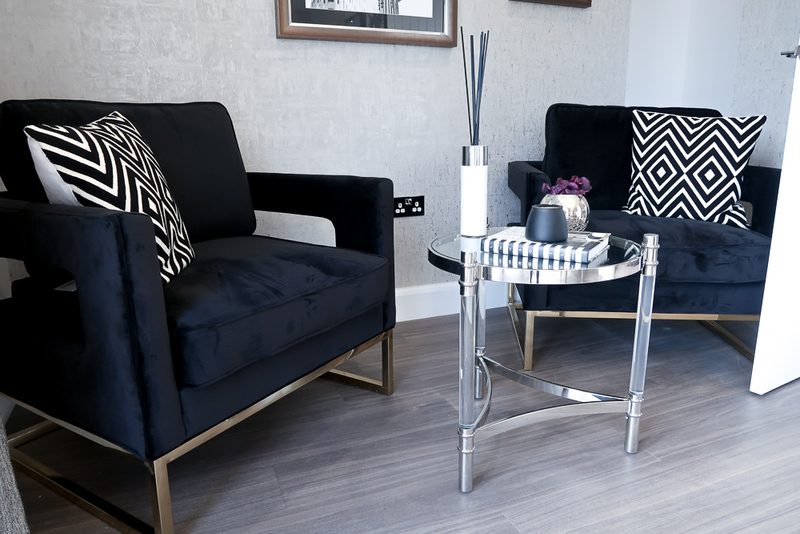 Then pull together either digitally or by cutting and sticking wall coverings, paint charts, flooring samples, furniture and accessories you’ll not only be able to see your styling coming together. But you’ll also have a list of where to directly source the items when you’ve created a style you’re happy with. You don’t necessarily have to use the same colour throughout but what I am an advocate of (and it seems the designer of The Jura is too), is choosing a colour palette that really compliments the rest of the rooms. By this, I mean keeping your colour scheme the same throughout. Use colours from the same chart if you’re looking for variation. 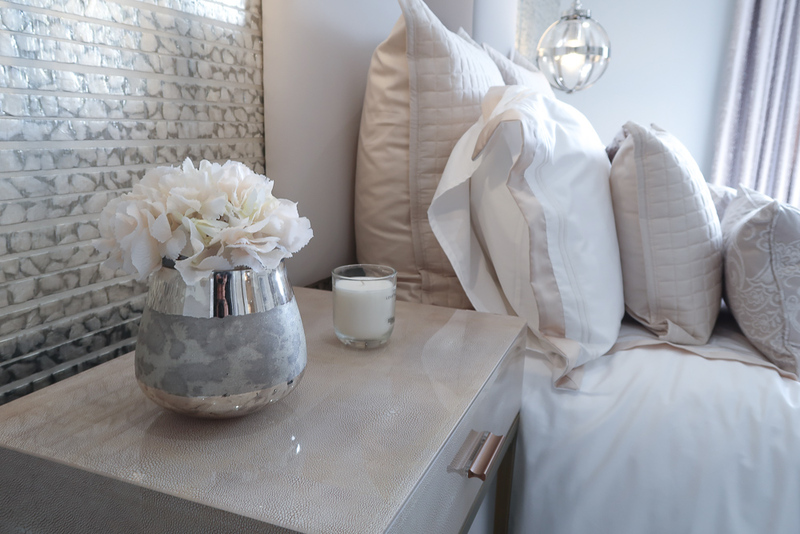 To create a luxurious and calm feel to your home, keep colours flowing. 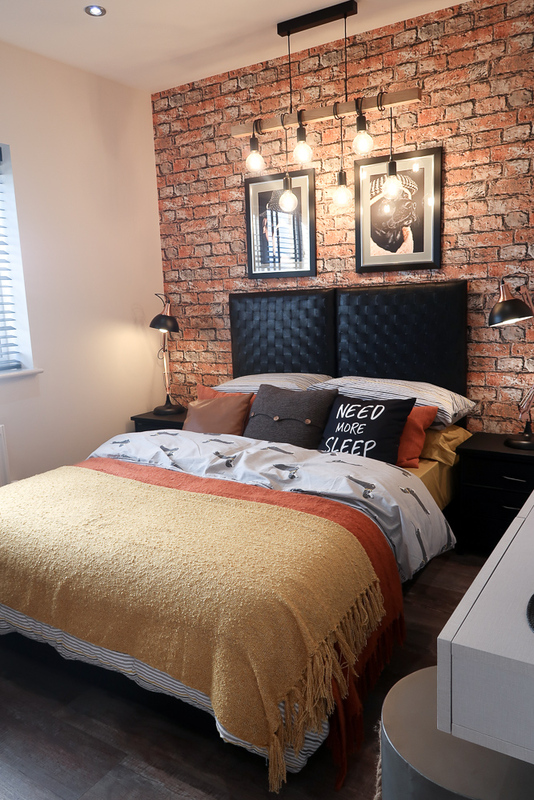 If you want to go for bold colours do this through accessorising with pops (or accents) of colours in your room. 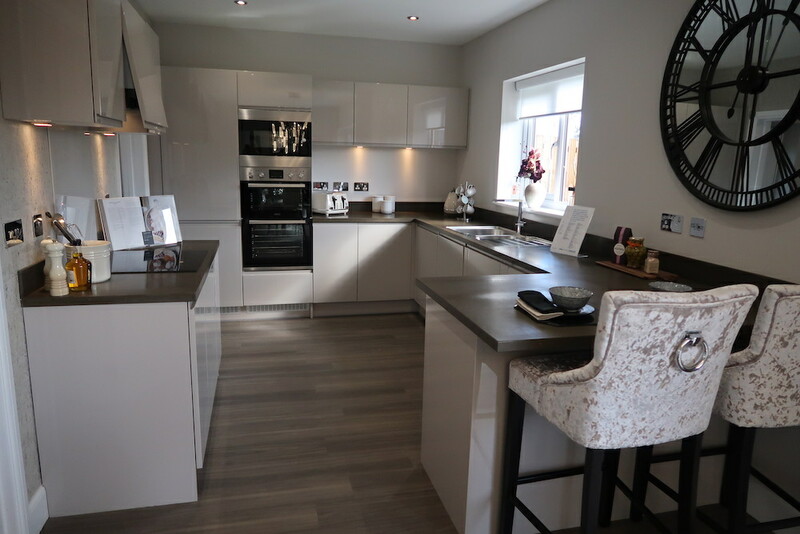 If you notice from the images of The Jura showhome, Miller Homes has kept the whole house neutral and used very similar colours. Through using metals and textures in luxuriously rich colours such as the deep purple scatter cushions in the living area and the plush black and gold chairs in the dining space they add a certain opulence to the look of the home. The flow is continued by all of the accessories near doorways complementing the accessories in the adjoining room, which works well especially in this open plan design. Wanting to go for bold patterns or loud colours? Like this room designed for a teen, then restrict the edgy colours and patterns to personal, enclosed rooms. This is ideal for bedroom spaces, not so much living spaces in the downstairs of your home. It is worth taking note of the 60-30-10 rule if you’re looking to have more than a single colour in your room. It’s recommended that, 60% of your room should be the neutral colour, with up to 30% the next colour and then 10% your accent colour. Try and keep to 3 colours (4 at max) to ensure that the room isn’t running the risk of being too busy. Light colours and perfectly placed windows help to create a light and airy feel. One of my favourite features of The Jura is that it has amazing windows. With floor to ceiling double doors in the kitchen & dining space, a huge bay window in the lounge and beautiful windows in the bedrooms the house is full of light. This is great for ensuring that your home isn’t drab and oppressive. If your house doesn’t have feature windows like the Miller Homes windows then you could make use of both ceiling lights and floor standing lamps as well as table lamps. Use a strong watt bulb too so the lights are powerful enough to light the room. If you follow the tips about keeping lighter tones flowing throughout your home, this too should help your house look brighter. I love a bit of texture. Juxtapose crushed velvet with animal print any day and I’m a huge fan. 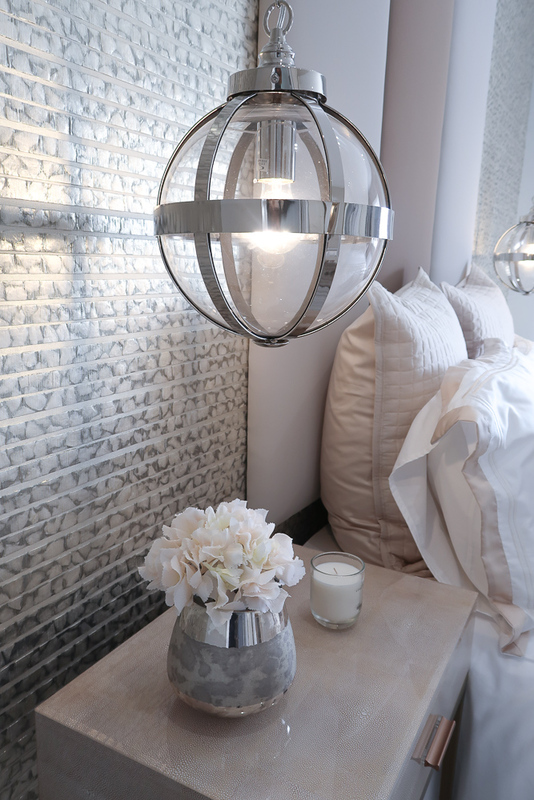 Complementing (but contrasting) textures always add a luxurious feel to any home. Texture is often overlooked when people style their homes. But it’s what brings ‘okay interior design’ up to enviable levels. Wondering what I mean when I say texture? It is defined as the sensations caused by the external surface of objects received through the sense of touch. Not only does texture add weight to rooms, but it also provides balance. By providing visual interest between lighter items and more textured items, for example, the textures of the different scatter cushions. 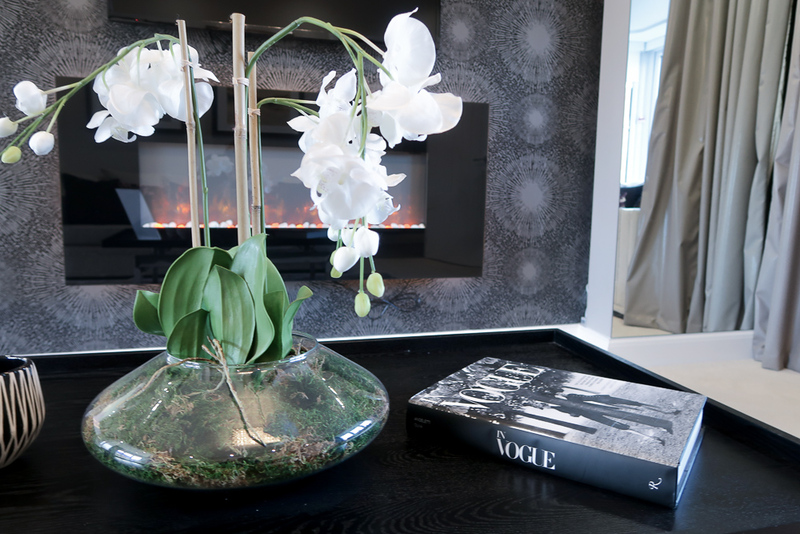 Or the gentle feminine look of the faux-florals in the glass vase next to the dark, heavy fashion book on the coffee table in the Jura lounge. Or perhaps the crushed velvet bar stools against the high gloss kitchen units gives an idea of how to use texture. Texture brings harmony into your design space and shouldn’t be overlooked. When I look at interior styling, I take a lot of inspiration from the hotels I’ve stayed in on my travels. These luxury pit stops often provide plenty of aha moments. My favourite stays are those which are minimal, yet pay attention to every single detail to create a luxe feel. Adding a velvety rug on top of wooden flooring creates a softer look and breaks masses of floor space up. The velvety texture (remember we discussed textures earlier?) will create a sumptuous and extravagant feel. Another way to create a luxurious feel is to concentrate on creating a superior finish where it matters. Combine luxurious materials to give that elusive boutique look. Just like those velvet and heavy gold metal chairs in the dining space. If you’re wallpapering, use a heavy silk wallpaper with a luxurious sheen and just focus this on one of the walls. In a bedroom? We suggest wallpapering behind the bed. Choose satin or padded throws and plumpy, plush cushions. Avoid it looking too matchy-matchy to give off the boutique vibe (again textures). One of The Jura guest bedrooms does this perfectly. You should also not be afraid to mix old and new. The world’s best boutique hotels can charm you with their combination of old-school elegance and modern glamour. 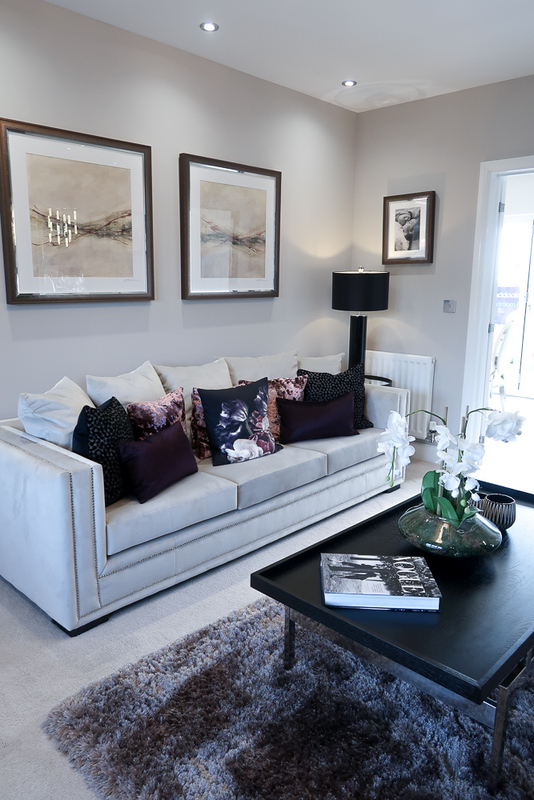 Traditional style side lamps look perfect teamed next to modern sofas. If you’re looking to almost imitate a hotel lobby feel, select structured furniture that has shape and doesn’t sag. Carefully position it too for that ordered, designer feel. Similarly, saggy cushions don’t make the grade. Ensure they have life and are full of stuffing to give a luxurious feel. Floor length curtains are a great way to add sophistication to your home. The timeless trick is to opt for velvet curtains, heavier material lends itself to curtains hanging well. If you’re going for floor length curtains, this will elongate the wall which will create a high looking ceiling. Last but not least, always choose the best bed linen you can afford. If you’re looking to create a hotel vibe, then invest in beautiful bed linen. My favourite has to be a plain white choice as to me this signifies cleanliness. 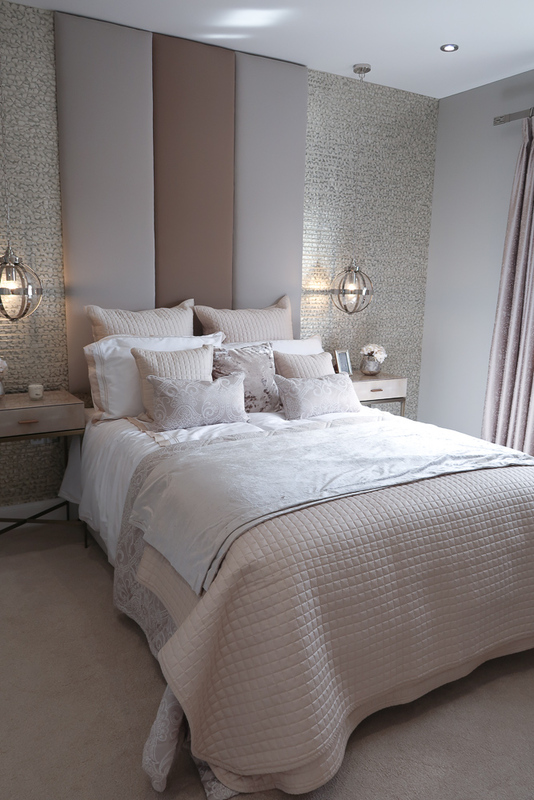 However, you may opt for patterned linen to complement your room. Just remember the higher the thread count the better the bedding is. 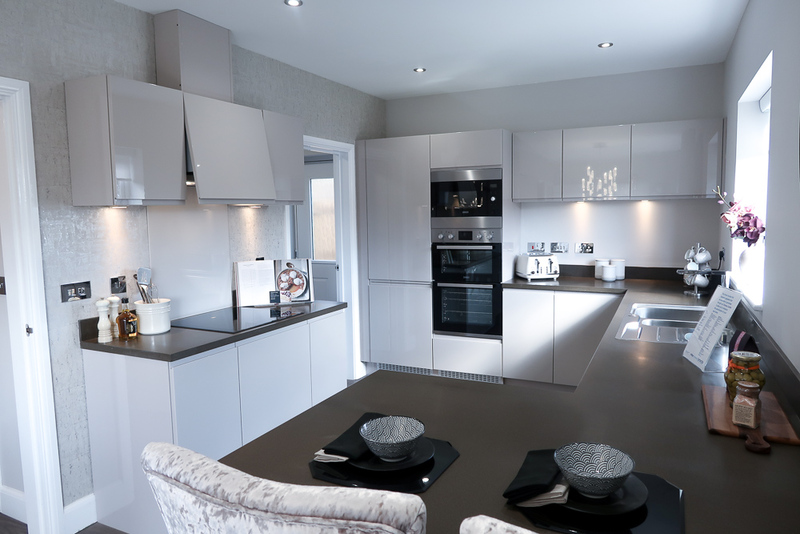 Miller Homes has many developments throughout the UK. You can see where your nearest new build estate is on their website with their postcode finder. The Paddocks is in a great location with bedroom views over the Northumberland hills. 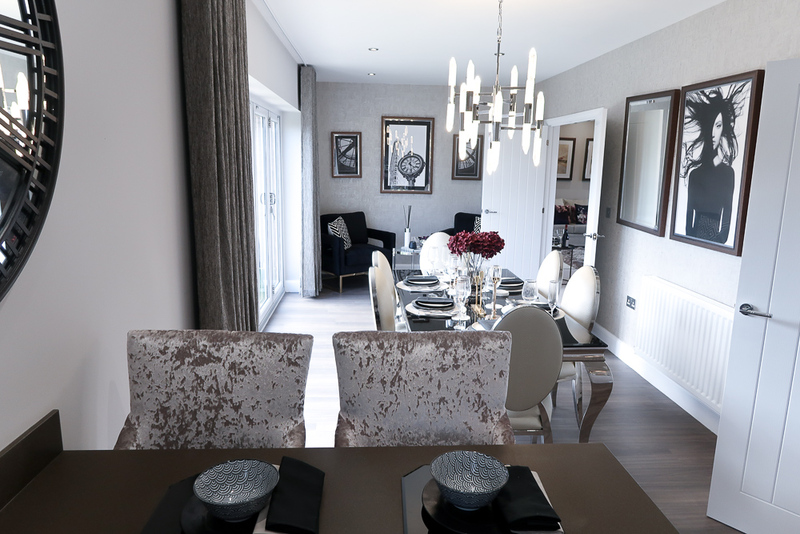 Prices start at £239,950*. Do you live in a Miller home? Or looking to buy one? I’d love to know which housetype you like the most. Or do you have any tips for people moving into a new home? Drop them below in the comments. *upgrades available at additional costs Paid for in collaboration with Miller Homes. All views are our own. Read more about disclosure here. Previous articleBang – The Truth About Bang, what you need to know!